With a professional driver and local guide, explore the home of some of the most beautiful vineyards in the world. Known for a distinctive Pinot Noir, the Willamette Valley is the heart of renown vineyards and some of the most unique tasting rooms. Located on gentle rolling hills, you'll be treated to expansive views of the vines and valley below. Tour includes visits to three wineries with wine tastings. Complete your tour with an evening dinner cruise along the Willamette river. See the skyline illuminated at night and enjoy your choice of locally sourced dinner entrees and live entertainment. Tour is 9-hours in duration and limited to a maximum of 14 people. Begin with pickup from downtown Portland hotels or the prearranged meeting location at 12:30pm for transport by private van to the north Willamette Valley region. 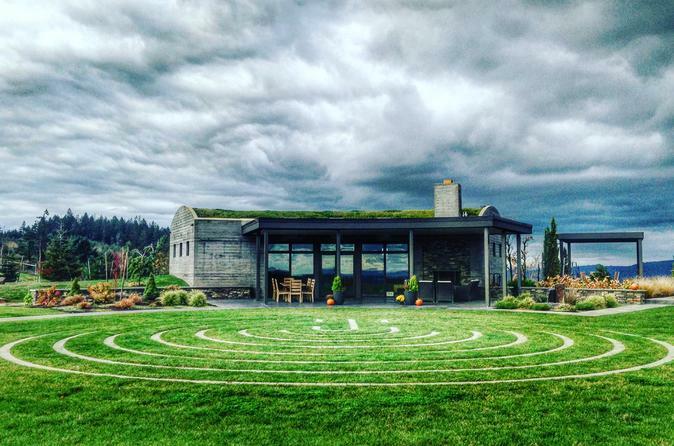 A hub of Oregon wine country, the valley is home to more than 700 wineries. Whether you are in the mood for Pinot Noir or other varieties, looking to experiencing the ambiance of a hip, metropolitan winery or admire the legacy of a small town vineyard, you can find it in the Willamette Valley. Enjoy three wine tastings at three select local vineyards. Not only are the wines spectacular, so are the views, so don't forget to bring your camera! Private transportation will bring you back to downtown Portland for your 2-hour dinner cruise, boarding at 6:30pm. As the sun goes down, watch the city lights come to life. The illuminated skyline is truly a treat at night, and is a sight that many miss while in Portland. Take advantage of this unique perspective on the city; sit back, relax, take photos, and enjoy the live piano music as you journey down the river. The cruise includes locally sourced northwestern cuisine, prepared fresh on board. Choose a plated entree on board, accompanied by house salad, bread, house dessert, fountain soda, coffee, and hot tea. Appetizers, premium desserts, and other beverages from the full service bar are available for purchase on board. After the cruise, transportation back to your hotel is not included.